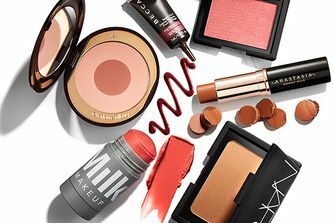 The beauty insider’s secret, IT Cosmetics was created by a former news presenter who was on the hunt for make up that would stand up to unforgiving HD cameras – and it’s since become a cult favourite. Exclusive to Cult Beauty, this ingenious hybrid unites concealer and spot treatment in one (which, now we think of it, makes total sense) to camouflage blemishes immediately – and promote their reduction in the long-term! Perfect for oily and acne-prone skin types, this full-coverage formulation conceals the appearance of breakouts, redness and discolouration without creasing or cracking. Enhanced with kaolin clay, witch hazel, sulphur and a gentle alpha and beta hydroxy acid complex, this is essentially colour-infused skin care – with the coverage to make it a ‘ride or die’ concealer too. 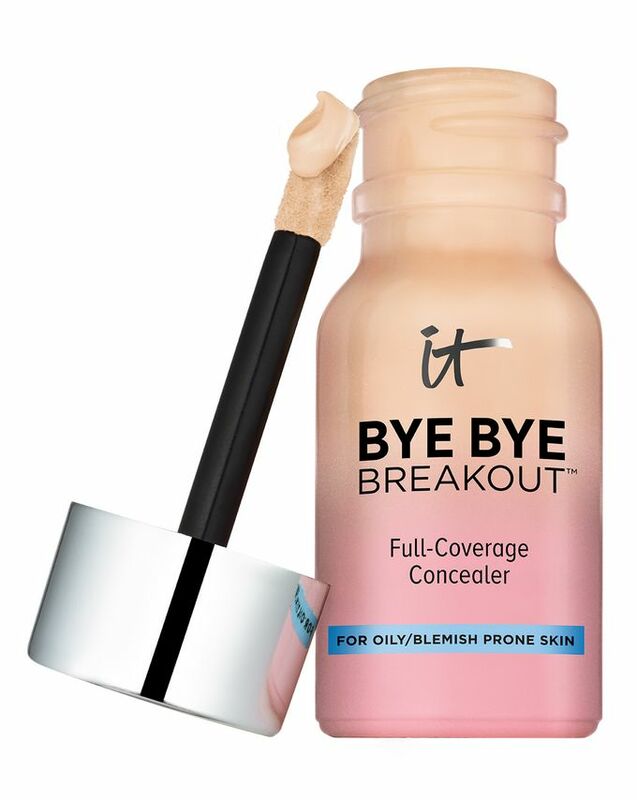 The best combination we’ve come across in a loooong while, IT Cosmetics’ Bye Bye Breakout is like your best ever concealer paired with a totally trustworthy spot treatment. Developed with plastic surgeons and perfect for oil and acne-prone skin, this colour-infused skin care innovation stars full-coverage pigments to effectively conceal whatever you wish to hide – be it blemishes, acne, redness or discolouration – all without creasing or cracking. Infused with age-defying peptides and hydrolysed collagen, oil-absorbing zinc oxide, kaolin clay, witch hazel, tea tree, sulphur and a gentle complex of alpha and beta hydroxy acids, this clever concoction works to minimise blemishes over time – as well as camouflaging immediately. It’s available in seven seamless, versatile shades so you can identify the best match possible for your complexion. 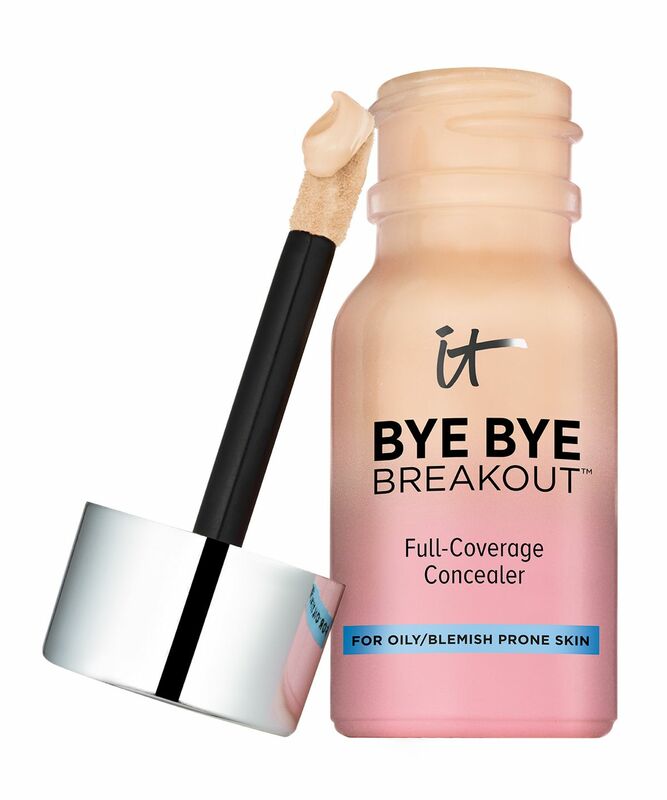 Use the Bye Bye Breakout applicator or a cotton swab to dot concealer onto skin. Then, with a brush or fingers, tap concealer onto and around blemish until you build to your desired level of coverage. To set concealer, sweep on a thin layer of Bye Bye Breakout Powder. How long do make up products last? I bought this thinking it would help with my breakouts, and I have to say except for dealing with flaking skin it didn't do much. I chose the lightest shade which is not light enough and oxidizes on top of that. Also not many foundations work with it (I tried both on top and under foundation), so as long as you're wearing it on its own it's an okay concealer, just don't expect miracles like I did. So I bought the IT Cosmetics CC+ Cream in the shade "Light/Medium" and loved it, pretty similar to my own skin colour. Then I saw that they released this concealer so decided to give it a try to go with it but the shades here are "Light" OR "Medium" so I decided to go for "Light" as it is better the concealer being a bit lighter than the base rather than the other way around. Turns out though that the "Light" concealer is quite A LOT DARKER than their "Light/Medium" CC cream, which makes literally no sense to me. It's a shame because the consistency of the concealer seems really nice, but it's useless if it's the complete wrong colour, I don't want dark patches on my face where my blemishes are, thankyou. I first came across this product in New York in 2018. The colour match was brilliant. When I got back to the UK I was gutted to find that nowhere stocked it until I recently came across the product on Cult Beauty. I’ve stocked up on this product. As someone who has suffered from adult acne I can say that this product covers up the blemishes brilliantly. It blends really well and is so light on the skin. I would definitely recommend this product!